Make it a BEARY special party! Get their glam on with a Princess Party that sparkles with splendor! Princess bears and glamorous outfits and accessories make for party that’s royally fun. Heroes unite to make sure your party is a powerful success! Hero characters take furry friend form with colorful costumes and accessories to deliver dynamic memories. Kick it into high gear! Football, cheerleading, hockey and other sports take center court and knock it out of the park for your team-focused party. The colorful characters from movie and TV favorites really shine at your party! These enduring icons work their wonders to keep kids happy with a star-powered celebration. Please check with your local Build-A-Bear Workshop to verify merchandise availability for themed parties. Theme parties work best with Awesome Adventure and Ultimate Experience packages. 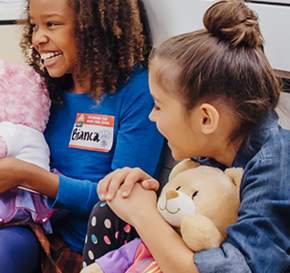 Whether it’s a team building outing or a charitable event, Build-A-Bear Workshop hosts parties for kids of all ages. Let us help you build an event you’re all sure to remember. Bring the group together for a fun and rewarding experience that builds team collaboration, cooperation and friendship. Make a difference in your community when you each build a furry friend to donate to a charity or nonprofit — your group could qualify for discounted price on our Lil’ Cub. Give your pack an adventure to remember with a Build-A-Party scouts outing. It’s a great team-building exercise — and a great way to spend that fundraising money! Build-A-Party events are perfect for schools, summer camps and daycares looking for a special treat for the kids — it’s furry fun for the whole gang! 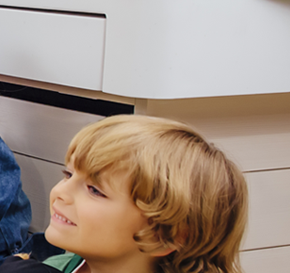 Any day can be a special occasion with a Build-A-Party event. Whether it’s an A+ report card, an end-of-summer celebration or just because, we’ve got the fun! 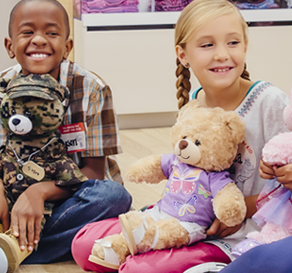 Host your party before or after regular hours for a one-of-a-kind experience at your local Build-A-Bear Workshop. You can also book your party in-store, or call a Build-A-Bear Workshop Party Planner toll-free at 1-877-789-2327.